Anna Hansen, a bride-to-be, is a pupil at one of Hitler's notorious Nazi Bride Schools, where young women are schooled on the art of being an SS officer's wife. Then, one night, she is brutally murdered and left in the gardens of the school. Her death will be hushed up and her life forgotten. Clara Vine is an actress at Berlin's famous Ufa studios by day and an undercover British Intelligence agent by night. She knew Anna and is disturbed by news of her death. She cannot understand why someone would want to cover it up, but she soon discovers that Anna's murder is linked to a far more ominous secret. 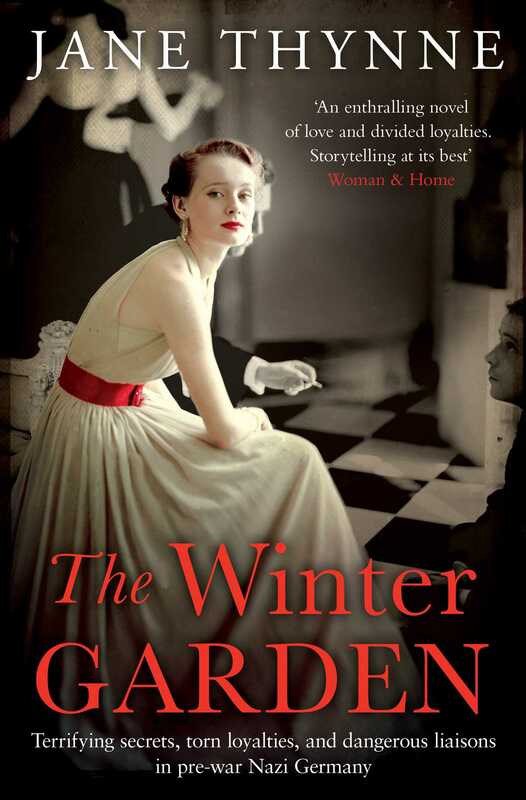 The Winter Garden is published as Woman in the Shadows in the US. This reading group guide for The Perks of Being a Wallflower includes an introduction, discussion questions, and ideas for enhancing your book club. The suggested questions are intended to help your reading group find new and interesting angles and topics for your discussion. We hope that these ideas will enrich your conversation and increase your enjoyment of the book. First published in 1999, The Perks of Being a Wallflower is a modern classic that captures the aching, confusing, and glorious experience of being a teenager—all through the eyes, ears, and letters of the book’s narrator, Charlie. We don’t know where Charlie lives and we don’t know to whom he is writing. But Charlie’s haunting letters, addressed only to “Dear Friend,” bring readers straight to the heart of his struggles to fit in, to find the will to “participate” in life, and to cope with the realities of the larger world as he learns how to grow up. 1. Discuss the epistolary format of the book. Why do you think Chbosky chose to use letters as his narrative structure? How did this structure affect the book, both in terms of the story and in terms of your reading experience? How would the book have been different if Chbosky had written it in first-person or third-person narrative? 2. Who do you think Charlie was writing to? Does it ultimately matter whom, or even if he is, writing to someone? Why or why not? 3. Who did you identify with the most? Did you see parts of yourself in any one specific character? 4. Discuss Charlie’s character. Is he sympathetic? Would you be friends with Charlie? Why or why not? 5. What do you think kept Charlie from “participating” when he entered high school? What held him back? Have you ever felt this way before? 6. Who is Charlie’s greatest ally? Who is his worst influence? 7. From Naked Lunch by William S. Burroughs to Harold and Maude to The Beatles’ song “Dear Prudence,” Charlie references numerous pieces of literature, film, and music. How did these references shape your reading? Why are they so important to Charlie? 8. When Bill invites Charlie over for lunch Charlie observes, “He was talking for real. It was strange.” (p. 181) What do you think Charlie means by “real”? How does he discern between what is real and what is not real? 9. Sam confronts Charlie before she leaves for college, pleading: “You can’t just sit there and put everybody’s lives ahead of yours and think that counts as love.You just can’t.You have to do things.” (p. 200) Do you agree with Sam? How does this exchange relate to their relationship on a grander scale? 10. Discuss Aunt Helen’s character and presence in the novel. Were you surprised when the truth about her relationship with Charlie was revealed? In what other ways did seemingly positive aspects of Charlie’s life turn out to be negative? 11. After watching an art film with Mary Elizabeth Charlie says: “The movie itself was very interesting, but I didn’t think it was very good because I didn’t really feel different when it was over.” (p. 124) Do you agree with Charlie that in order to be “good,” creative works must make you feel differently? How did you feel after reading The Perks of Being a Wallflower? 12. Discuss the following passage: “Maybe it’s good to put things in perspective. Sometimes, I think that the only perspective is to really be there.” (p. 213) How has Charlie’s outlook shifted from the beginning of the story? 13. The Perks of Being a Wallflower grapples with a complex, universally difficult stage of life. What reflections did it inspire about your own life? What parts of the story resonated most deeply with you? 1. The Perks of Being a Wallflower was released as a major motion picture starring Logan Lerman, Emma Watson, and Ezra Miller in September 2012. Host a movie night with your book club and watch the adaptation! How did the movie differ from the book? How did the casting of the movie match the characters you’d formed in your mind from reading the book? Which felt more authentic to you? 2. The Perks of Being a Wallflower has been included on the American Library Association’s annual “10 Most Frequently Challenged Books” list five times in the past ten years. Check out the other books listed on the ALA’s list at www.ala.org/advocacy/banned/frequentlychallenged/21stcenturychallenged . What are your thoughts on the issue of censorship? Consider choosing one of the other listed titles for your next book club meeting. 3. Take part in the time-honored tradition of writing letters with your book club. Write letters to your fellow book club members, family members, loved ones, or even to yourself. Or consider participating as a group with one of the following organizations to write letters to those in need. As you write together, share your notes. How do you feel after reaching out to someone with pen and paper? www.MoreLoveLetters.com—An organization that coordinates a community of “love letter writers” with a mission to deliver love letters to those in need of a positive word or encouragement. www.AMillionThanks.org —A year-round campaign to show appreciation to U.S. military troops through letters, cards, and emails.